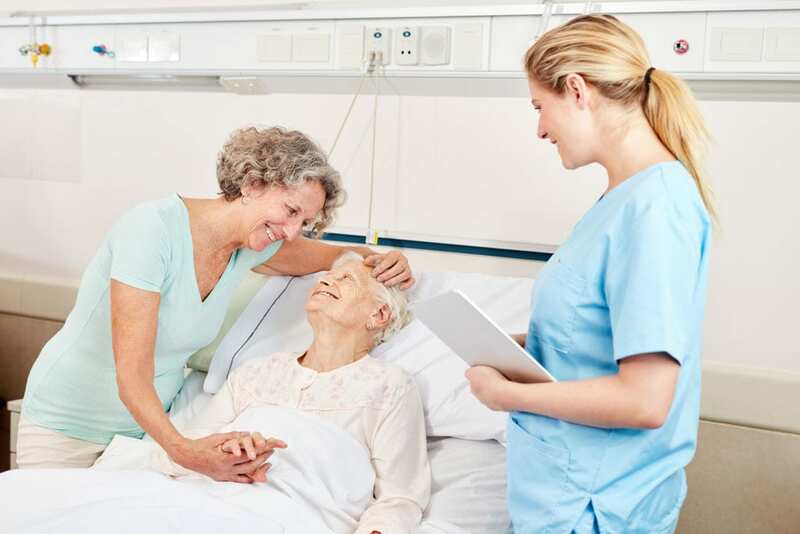 A Certified Nursing Assistant functions under the supervision of a licensed nurse to care for residents or patients in assisted living facilities or hospitals. Key tasks include assisting with personal care, such as dressing, bathing, hygiene, nutrition, hydration, elimination, and changing bed linens. CNAs also measure and record vital signs, provide emotional support, and assist with mobility. If you’re compassionate and want to care for those who are sick or disabled, a career as a CNA may be a good fit. The responsibilities are rigorous but they pale in comparison to the rewards of cheering those who are facing physical or mental challenges. A sharp rise in the baby boomer population provides plenty of opportunities for new and existing CNAs. The Bureau of Labor Statistics predicts a 12 percent growth in employment for nursing assistants between 2016 and 2026. CNAs are qualified to work in hospitals, assisted living facilities, adult homes, rehabilitation centers, home health care agencies, and physicians’ offices. The Certified Nursing Assistant (CNA1) training at Mt. Hood Community College prepares adults with the technical skills and competencies to care for residents in a long term care facility. The curriculum covers 155 contact hours of classroom theory and practical experiences in a clinical setting. Areas of study will include the role and responsibilities of a nurse aide, anatomy and physiology, infection control, medical terminology, range of motion exercises, rehabilitation, feeding and nutrition, personal care skills, common diseases, and hospice care. Graduates of the state-approved program will be eligible to apply for the state Nurse Aide exam to become a Certified Nursing Assistant. Morning and evening schedules are available. The morning class meets Mondays, Wednesdays, and Fridays from 9:00 am to 2:30 pm in the classroom and lab and Monday through Friday from 6:00 am to 2:00 pm for the clinical sessions. The afternoon sessions meet Mondays, Wednesdays, and Fridays from 2:30 pm to 8:00 pm in the classroom and Monday through Friday from 2:00 pm to 10:00 pm. The cost of the program is $1,595. Northwest CNA Training offers a Certified Nursing Assistant I training to prepare students for employment in an assisted living facility, skilled nursing facility and hospice care. Students who complete the training in Washington but want to work in Oregon can transfer their certification by paying a $60 processing fee. The training will include classroom lectures and a clinical component that lets students participate in direct patient care experiences under the supervision of a licensed nurse. The clinical component of the program is two weeks long and will take place at least two of the school’s six affiliate agencies. The extensive clinical training gives graduates a competitive advantage when seeking employment. Students will benefit from open labs, mock testing, practice for the State Exam and training in Nurse Delegation and Diabetes. Tuition for the program is $950 and includes AHA Health Care Provider CPR and First Aid training. Students will also receive a stethoscope, gait belt, and TB testing at no extra cost. Students enrolled in the Nursing Assistant Level 1 program at Caregiver Training Institute will learn how to function within the role and responsibilities for CNAs as outlined by the State of Oregon. The training requires active involvement in classroom sessions, hands-on lab, and a clinical practicum at a skilled nursing facility. It includes 155 hours of instruction – 80 hours in the classroom and lab and 75 hours at a nursing facility. CGI offers an online training option that lets students complete 53 hours online and 102 hours onsite for the labs and clinical. The Enhanced Learning option covers 100 hours of classroom and lab instead of the 80 hours in the traditional option. The additional 20 hours will cover comprehensive study of various segments of the program, medical terminology, vocabulary, and test-taking skills. Program graduates will receive a Certificate of Completion and will be eligible to apply to take the state competency exam. Day, evening and weekend classes are available to fit students’ schedules. The weekend classes meet Saturdays and Sundays over a period of 10 weeks. Tuition costs $1,275 for the standard program, $1,375 for the online program, and $1,400 for the enhanced program. Additional costs include background check, drug screening, textbook, TB skin test, scrubs, medical equipment, required immunization, and a watch with a second hand. Students who enroll in the Certified Nursing Assistant program at Portland Community College have the opportunity to prepare for a career in health. The program serves as a foundation for training to become a CNA 2, licensed practical nurse, registered nurse or physician assistant. The curriculum covers a total of 155.5 contact hours – including 80.5 hours in the classroom and skills lab and 75 hours of clinical practicum. Instructors will use lectures, class discussions, group activities and quizzes to deliver content in the classroom. The skills lab sessions provide the opportunity for learning, developing and demonstrating nursing assistant skills. The clinical practicum will be scheduled in a skilled nursing facility, giving students the opportunity to demonstrate nurse aide skills in a real-world setting. Students must register for the class, clinical and lab fee at the same time. Tuition for the program is broken into three parts so students can request a refund for the clinical component if they fail the classroom component. The classroom/lab tuition is $799, the clinical tuition is $399.50, and the lab fee is $399.50. The total tuition is $1,598. Other costs include background check and drug screen, CPR course, textbook, stethoscope, gait belt, uniform, state certification exam, and parking permit. An installment payment plan is available for all students. The Clackamas Community College nursing assistant program prepares students for the state nurse aide competency exam. Students will acquire the skills to perform basic nursing care in an assisted living facility. The program is approved by the Oregon State Board of Nursing. The curriculum will cover 150 contact hours of theory and practical instruction including 75 hours in the classroom and 75 hours of supervised patient care at a health care facility. The clinical session will commence in the sixth week of the program. Areas of study will include communication, prevention of infections, body structure and function, introduction to health care facilities, body mechanics, personal care, and rehabilitation techniques. Upon completion of the program’s 7 credit hours, students will receive a Certificate of Completion and will be eligible to take the Oregon State Board of Nursing certification exam for nursing assistants (CNA 1). Admission is limited to the first 20 qualified applicants. The tuition includes background check, immunization, UA drug screen, and AHA CPR for Healthcare Professionals. Additional costs include textbooks and nursing equipment. The CNA-1 training program at Clackamas Nursing Assistant Training meets the requirements for the OSBN. The program includes classroom, lab, and clinical training to prepare students for certification by the Oregon State Board of Nursing. The curriculum covers a total of 159 contact hours – 84 classroom hours and 75 clinical hours. The classroom sessions meet Monday through Thursday from 8:00 am to 2:30 pm for three weeks. The clinical sessions meet Monday through Friday from 6:00 am to 2:00 pm for three weeks. Students must complete a minimum of 80 hours of classroom/lab requirements and score at least 75% on the final exam to pass the program. They must also complete the 75 required hours for the clinical and complete the clinical work assignments. Tuition costs $1,000 and includes textbook, stethoscope, blood pressure cuff, name tag, gait belt, and criminal background check. Additional charges include uniform, CPR certification, and $106 for the state test. The CNA Training Program at Clark County Career Development Center includes training in Nurse Delegation and Special Focus on Diabetes at no extra. Students who complete training in Washington can easily transfer their certification to Oregon for a cost of $60. Course topics include the role and responsibility of the nurse aide, body structure and function, infection control, nutrition and feed, vital signs, safety and emergency procedures, patients’ rights and independence, law and ethics, personal hygiene and grooming, First Aid, HIV/AIDS, range of motion exercises, and hospice care. Tuition for the program is $1,000 and must be paid on or before the first day of class. It includes personal coaching, textbook/workbook, CPR certification, HIV/AIDS training, open lab practice, personal equipment, and background check and TB testing. A payment plan is available for eligible students.